As 2009 hurtles to a close, what new technology should we be looking forward to next year? CES 2010 will set the mood for the year ahead, which we hope will be one of 3D TVs, Tablet PCs and ebook readers, OLED displays, Wireless HD and devices packing the new USB 3.0 connection. Microsoft traditionally kicks off CES with a pre-show keynote. CES 2010 will be no different. Steve Ballmer will undoubtedly be singing (not literally) the praises of the newly-launched Windows 7 and casting his eye over the wider Windows ecosystem. Look out for Zune HD and Windows Mobile news, fresh mobile form factors such as the Courier Tablet and an Xbox 360 segment dominated by eye-catching Project Natal demos. It seems there's no truth to the rumour that Steve Jobs will be giving a keynote at CES – Engadget shot that fib down. Instead, the opening day keynote will be delivered by Ford Chairman and CEO Alan Mulally. Expect him to focus on electric cars and in-car tech, including in-dash sat nav and Ford's own 'Sync' voice-recognition technology. Intel's Paul Otellini has been lined up to follow Mulally on Day 1. Having already unveiled a 22nm silicon wafer, Larrabee and new Sandybridge processors at IDF, CES 2010 is an opportunity for Intel to show off its current products in real devices. There might well be talk of Light Peak and Moblin. But expect Intel's sprawling CES stand to be humming with i5- and i7-powered gear, including laptops packing Core i7 Mobile processors and perhaps even an i3 system or two based on the Arrandale chip. Netbooks will continue to threaten traditional laptops in 2010. Netbooks are getting thinner, the battery life is getting longer and SSD storage is getting cheaper. Samsung is promising OLED notebooks for 2010, while MSI is reportedly upgrading its Wind netbook with a touchscreen. The performance difference between netbooks and laptops is fast disappearing, too, thanks to Intel's efficient Atom chip and Nvidia's ION GPU. On the software side, we shouldn't be surprised to see netbooks running Windows 7 and an outing for Google's Chrome OS. In consumer electronics, 3D TV will continue to be the hot trend. Regardless of whether the full HD 3D spec is finalised in December, the likes of LG, Panasonic, Philips, Samsung, Sharp, JVC and Sony will be keen to showcase their newest 3D sets. Panasonic has a 50-inch 3D TV on the way in 2010, not to mention 3D-capable Blu-ray players. 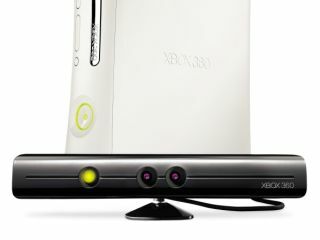 The stereoscopic excitement will also spill over to gaming via the PS3 and PC. Elsewhere, pricey OLED technology will continue to impress, but mostly in prototype form. That said, LG should start shouting about its skinny 15-inch OLED TV set, currently 'the world's largest, commercially available OLED TV'. With OLED stuck in the slow lane, CES 2010 gives LED technology another chance to, er, shine. HDMI 1.4 should get an outing on new HD TVs, although Wireless HD and Toshiba's TransferJet technologies will again point the way to a living room without wires. What else should we expect? Look out for wireless charging technology to start becoming more widespread; a fondness for ebook readers and Kindle-esque e-slates; gadgets equipped with USB 3.0; a heavier dose of eco-friendliness; more hopeful iPhone-killers (including squads of new Android phones); multi-terabyte hard drives; fuel cell mobile phone rechargers; the Crunchpad; and Sony's own motion controller for the PlayStation 3. What do you think will hit the headlines at CES 2010? Leave your predictions below.